Steve and I try to go out for lunch (or dinner if we're lucky) without the kids once a month but with all the excitement of Christmas, various illnesses and school holidays, we realised that it had almost been 2 months since our last date (which you can read about here). So I planned a little jaunt for us on Steve's day off this week. 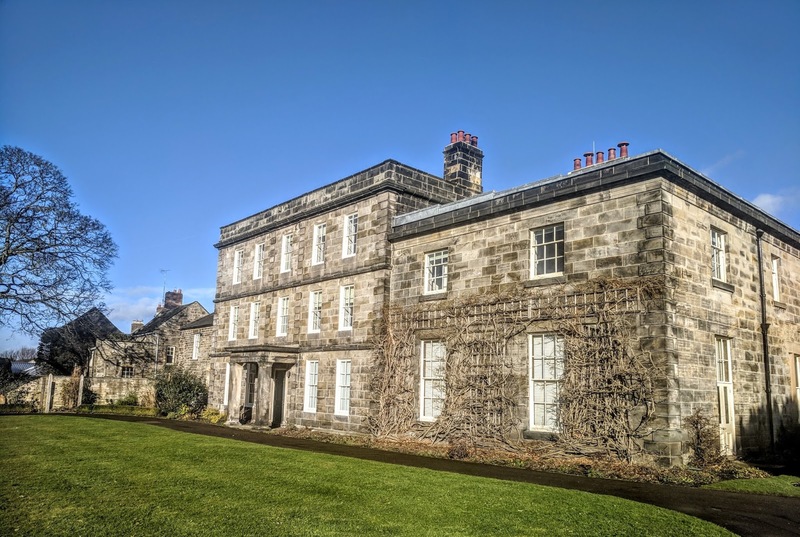 In the past few years we've tended to stay fairly local for our dates - normally sticking with Newcastle, Whitley Bay or Tynemouth but in 2018 we've vowed to travel slightly further afield and want to explore more of the North East this year. I have a neverending list of restaurants I want to visit saved on my phone and Bouchon Bistrot has been on that list since it won "Best French Local Restaurant" on Gordon Ramsay's 'The F Word' back in 2011. I honestly can't believe we've been meaning to visit for almost 7 years! Shocking. Anyway, we decided to make a day of it and made a lunch reservation. 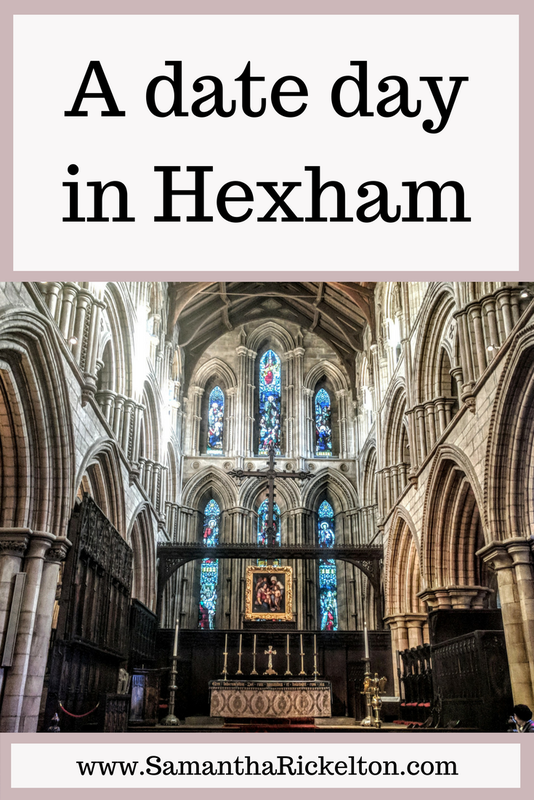 I visited Hexham a lot as a child but had not really had a chance to have a potter in the town without the kids. We parked in Wentworth Car Park near Waitrose. 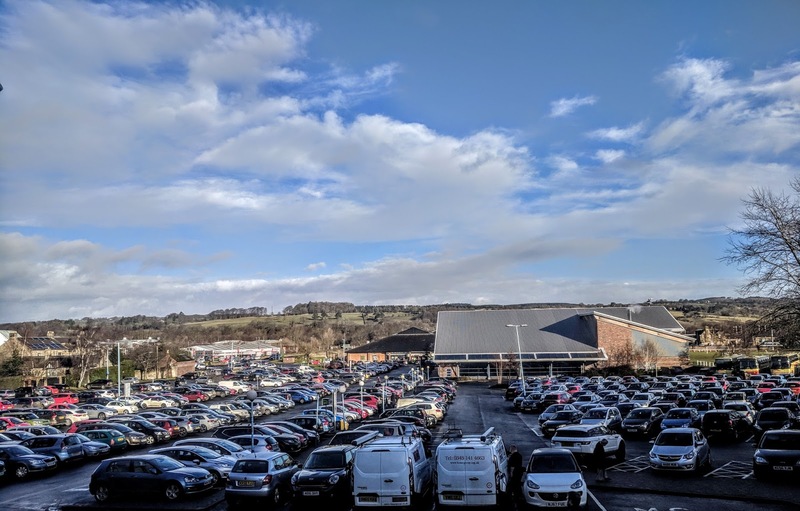 It's free to park here and there are 950 spaces but you do need a Northumberland parking disc (buy for £1 from the cafe by the car park if you don't have one). There are different coloured bays for various lengths of stays - we went for blue (4 hours). It's a short uphill stroll into town from the car park. Our first job was to find a coffee shop. 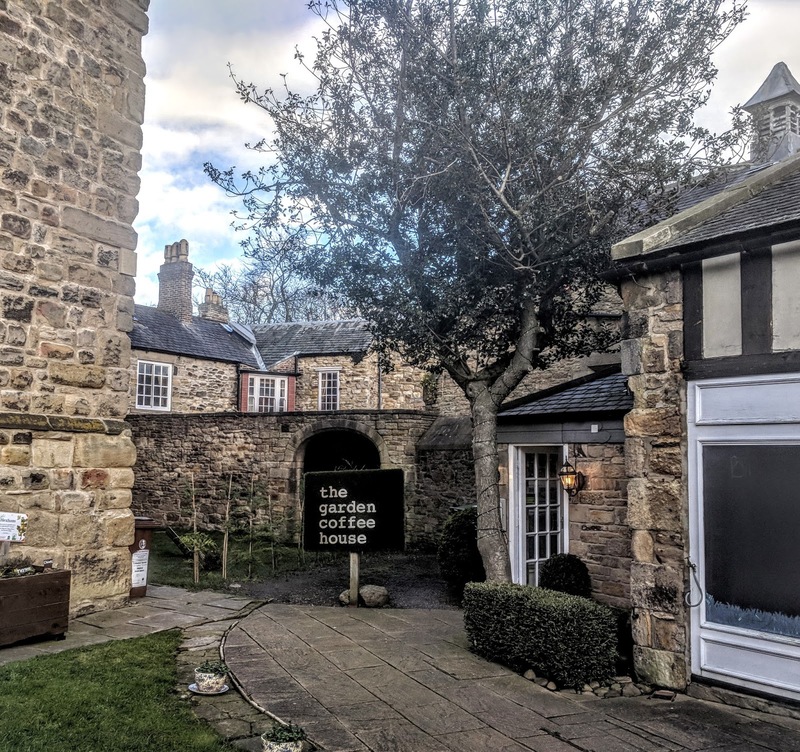 There are a fair few to choose from, including The Garden Coffee House at the top of the hill. 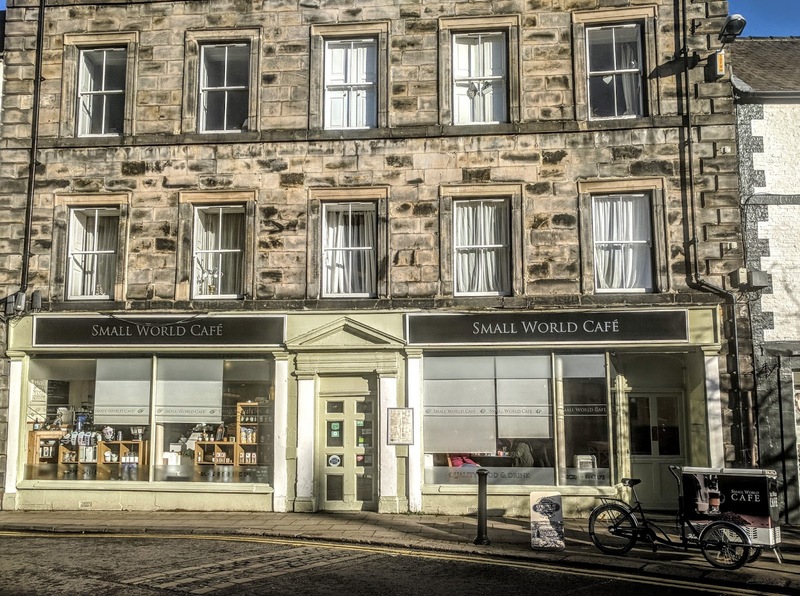 In the end we opted for The Small World Cafe which had a long list of various teas available (as well as fresh coffee). The food looked scrummy and is all locally sourced where possible too. 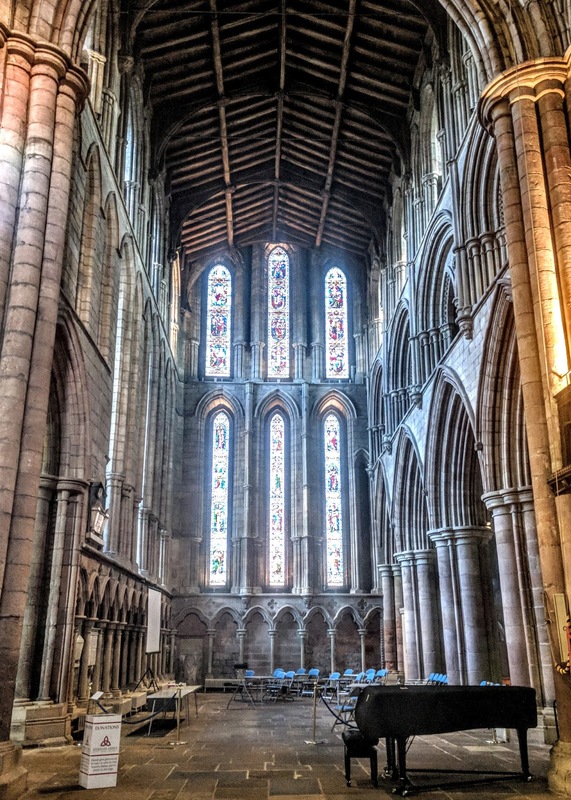 Before our trip to Hexham, I'd stalked Instagram for places we could visit and Hexham Abbey looked beautiful. I am a sucker for beautiful buildings and really wanted to visit. It's free to visit too (although donations are welcome). 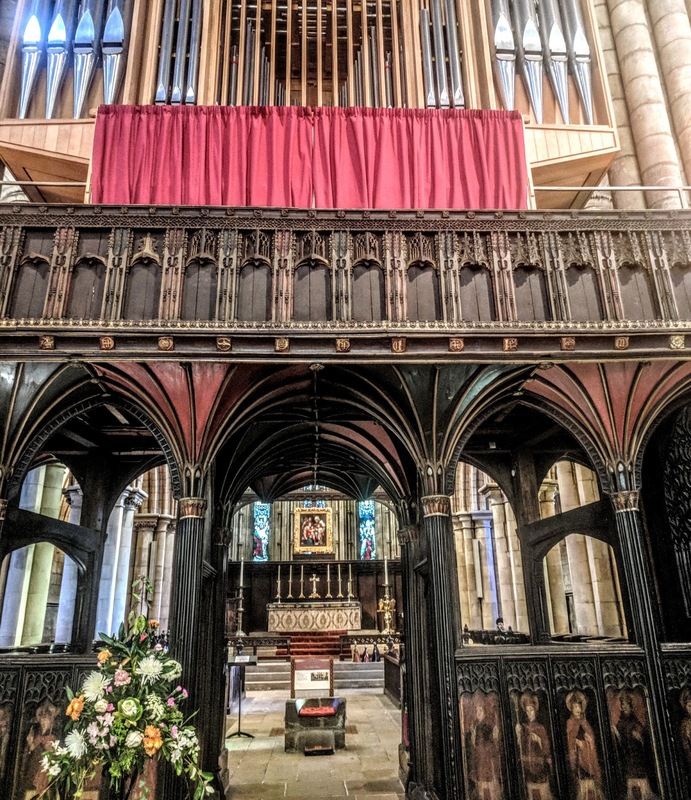 I must admit sometimes I feel nervous about visiting places of worship just to have a nosey around, sometimes it feels a little intrusive? 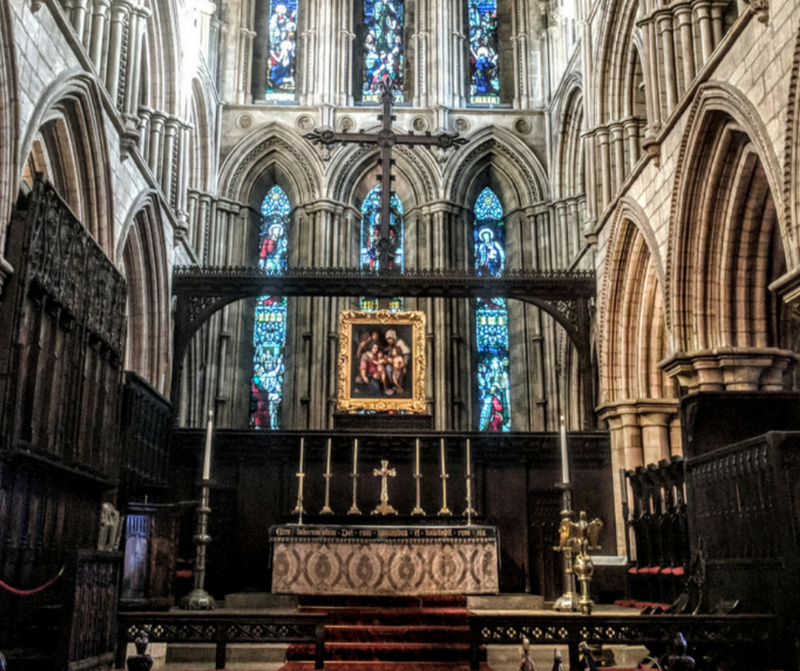 But Hexham Abbey was super welcoming with lots of helpful signs, information points, an exhibition centre and a cafe. I didn't feel out of place at all. The abbey was absolutely stunning and I'd urge anyone who visits to take a step inside. 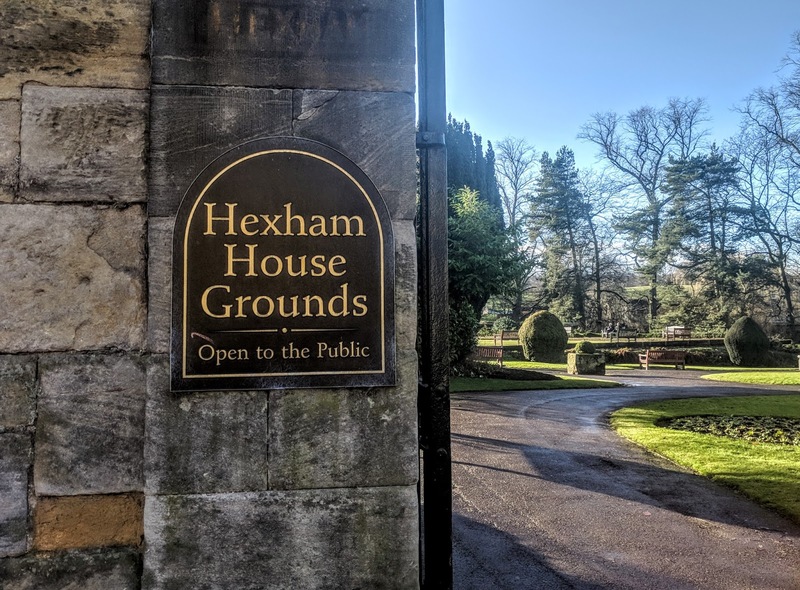 The grounds of Hexham House are half way up Market Street. It's a beautiful little place with a stream running through it, lots of seating, a bowling green and a play park. I bet it's gorgeous in summer. 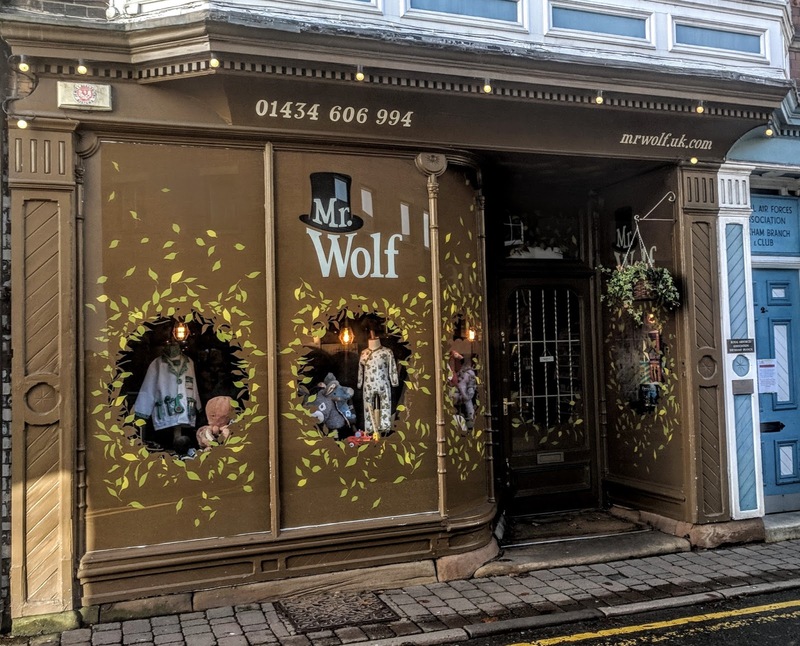 We just had a little peek inside as Steve was wearing his best shoes and didn't want to get them muddy but it's a place I can definitely see us returning with the kids for a picnic as an alternative to Tynedale Park. Finally, it was 12noon and time for our much-awaited reservation at Bouchon Bistrot. I'm not going to tell you too much as Big Stevie Cool is going to write a full review but let's just say it was very much worth the wait. The service was exemplary and the food was a perfect 10/10 for me. 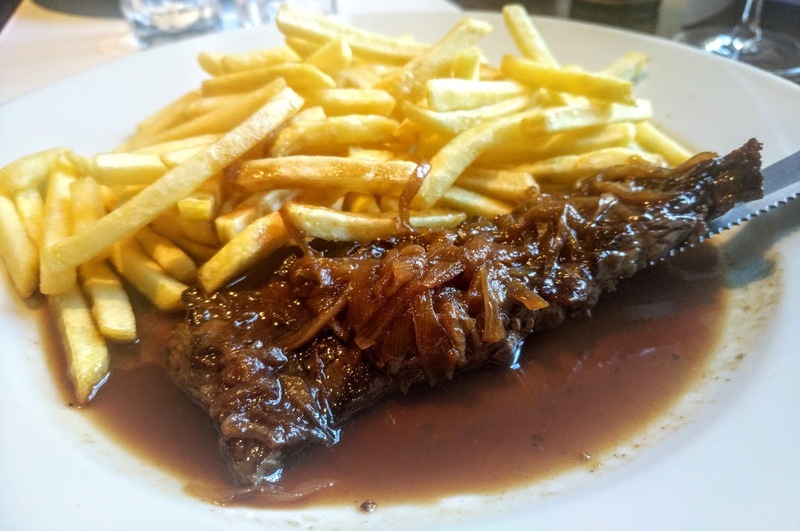 We both went for the 3-course lunch menu (£16.95) of which the star of the show was the Steak Frites. How they managed to cook the steak so it melted in your mouth like butter I will never know - the sauce it was served with was rich, meaty and the kind of thing you wish you could mop up with bread! 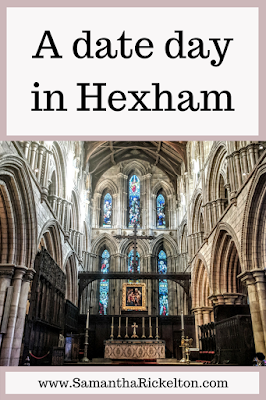 We loved our date day in Hexham and it's a place we'd certainly recommend you visit if you like pottering about little shops, hiding in cute tearooms and of course trying some stunning French cuisine. I think we're going to head to Whitby next month and maybe Corbridge the month after plus we have Bamburgh in our diaries for the summer. Look out for those posts - let me know if you have any suggestions for where else we should visit too. Ooooh I'm excited about your 2018 dates and getting to see more of the North East .. I love when you go find the great places and then we just trot along after you a few months later! OMG Hexham looks BEAUTIFUL! 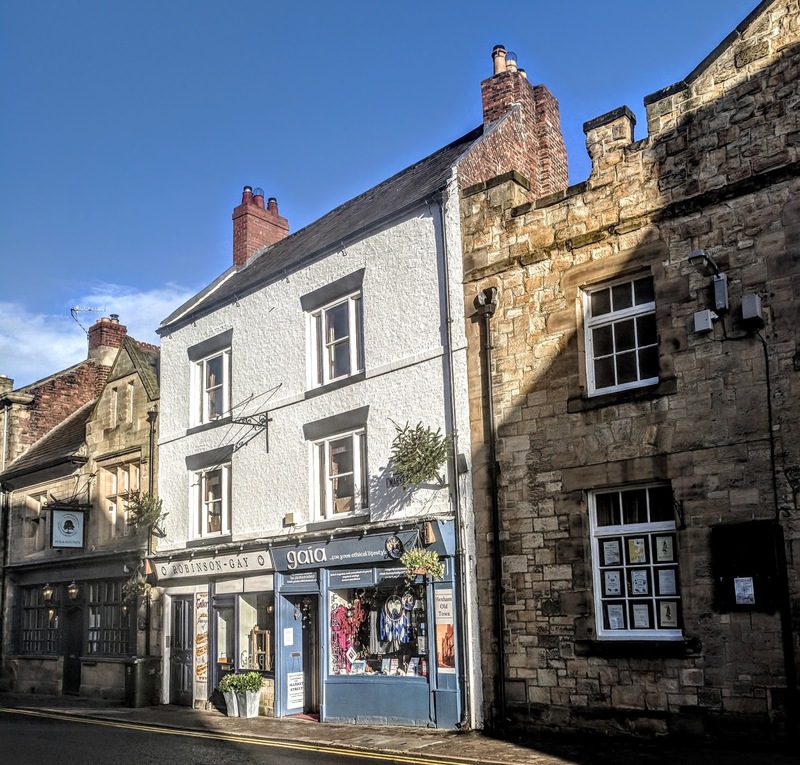 SO many people in the past have told me not to bother and to just go to Corbridge, now I think they were just saying that to keep Hexham to themselves! How stunning is the Abbey? 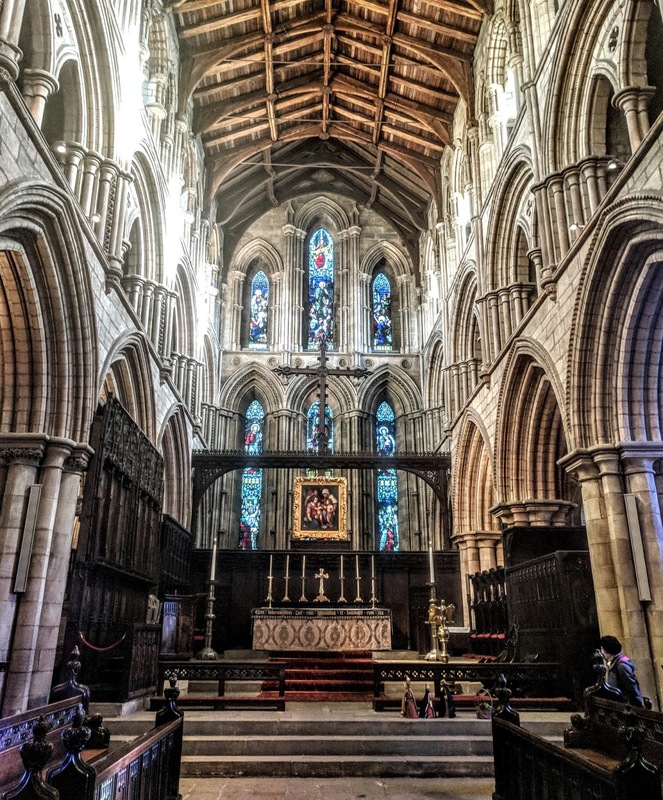 I love looking round churches, my Uncle is a Vicar and he's a huge fan of exploring them so when we were kids we'd often just drive round Norfolk with him visiting churches, they're so beautiful and peaceful - great for a wander. Tell Big Stevie Cool to hurry up with his food review, I need to read it! 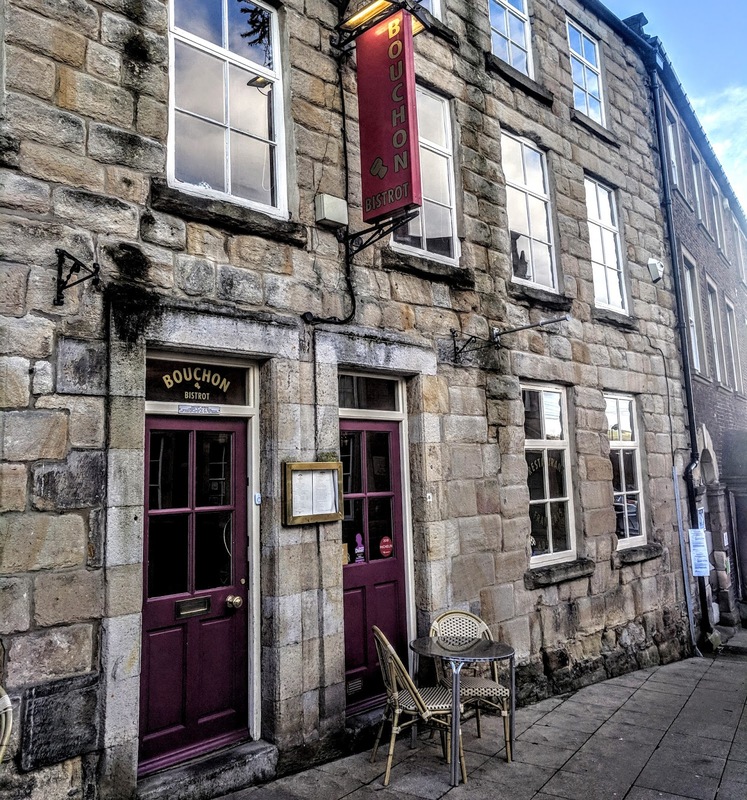 How fab - I live quite near Hexham and often pop there for a mooch and a coffee - I’m ashamed to say I’ve never gone inside the Abbey and I’d never heard of Bouchon Bistro either! I will Be rectifying both situations soon - thanks for the lovely tips! What a fab place to go for a date day... I really need to get over there and give the Bistro a whirl because let me tell you that Steak and Chips has made my stomach growl out loud!!!!! 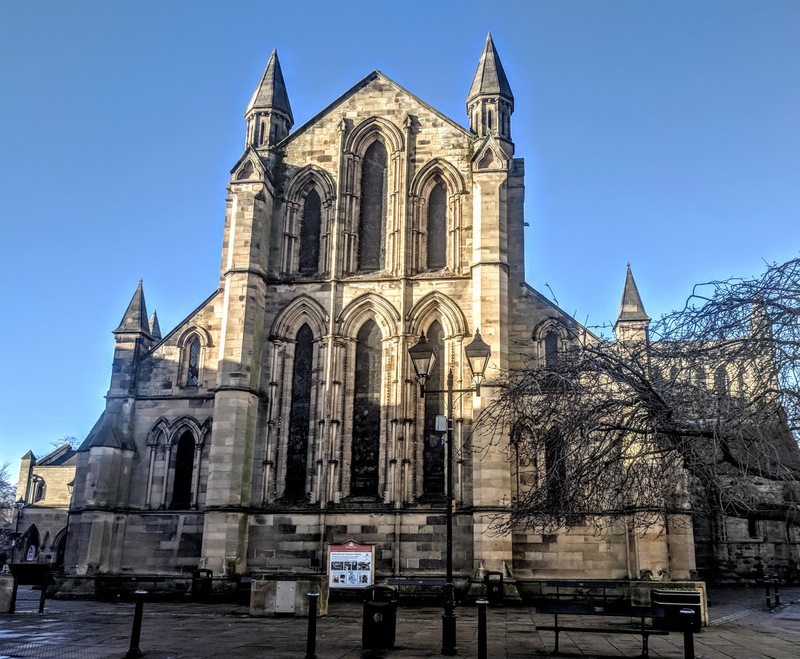 There's so much to see and do around Hexham, only a few miles takes you to Hadrian's wall. Why not stay a few days at www.stoswaldsfarm.co.uk.